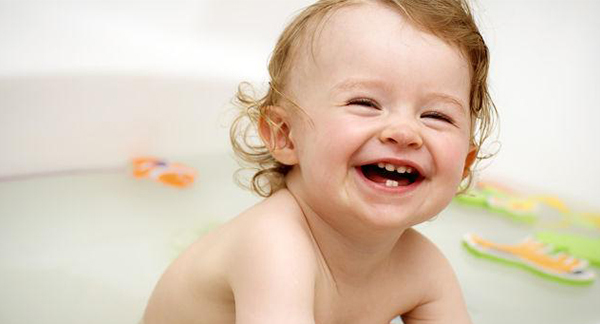 There are several problems that affect the oral health of your little one. Tooth decay (cavities), early tooth loss, thumb sucking, tongue thrusting, bad breath, grinding, and gum disease are few of them. Parents should realise that what they might dismiss as simple problems like simple tooth decay or bad breath might, in fact, result in much bigger problems such as infections of the teeth, problems while eating food, speech development problems and others. Tooth decay often finds itself as a serious oral problem that, if left untreated, could cause severe dental complications. Often, prolonged instances of tooth decay result in eating and speaking problems in children. Also, known as caries, tooth decay is preventable. Foods rich in carbohydrate such as candy, cookies, soft drinks and even fruit juices leave deposits on the teeth. These deposits, in turn, combine with the bacteria that are present in the mouth to form plaque resulting in tooth decay. Parents should start taking their children to the dentist from an early age so that dentists can identify and resolve the issue in an effective manner. The dentist will clean up the child’s teeth and teach some healthy practices like proper brushing and flossing. Note: Tooth decay in babies is also known as baby bottle tooth decay or nursing bottle syndrome. Children often lose teeth from decay or due to injury. Sometimes, if baby teeth are lost before permanent teeth are yet to erupt, it can cause teeth to shift from their normal course of path leading to misalignment of both the baby and permanent tooth. If ignored, the remaining teeth could crowd into the space intended for the permanent tooth. Note: Nutrition plays an important role in dental health. Parents should also ensure their children maintain proper oral habits from an early age. In simple terms, gum disease is a condition where the gum line is inflamed. It is a condition caused by bacteria and food particles that build up on teeth and form plaque. If not treated properly, this condition can deteriorate to affect the bone that surround and support the teeth. Of these three, chronic gingivitis is common in children. Gingivitis causes the gum tissue to swell, turn red and often leads to bleeding. Note: Gum disease can be prevented and children must be taught to brush and floss daily. Continuous consumption of sugary foods, carbonated drinks and sweets can lead to sensitive teeth in children. Toddlers with sensitive teeth often experience pain in their teeth while having hot or cold food. Over time, tooth enamel wears down, gums recede and teeth start to develop cracks. This exposes the interior of the tooth and causes irritation of the nerve endings. Note: If your child suffers from tooth sensitivity, parents could opt for special toothpastes, fluoride varnishes, restorations, and even nightguards to combat the problem. Teeth grinding, also known as bruxism, is a serious dental problem that should be treated early in children. Many children grind their teeth while sleeping, which leads to erosion of the tooth enamel. It can gradually wear away the primary and permanent teeth. Cause dental or muscular pain. Can disturb the sleep habits of the child. Note: Parents can take their toddler to the dentist if he continues to grind his teeth for many years. Dental problems affect everyone. But, when they start at an early age, they could lead to health complications later. If your child suffers from any of the above mentioned dental complications, it is advisable to visit the dentist. At Normanhurst Dental, we are a child friendly dentist and we’re happy to talk to you about your child’s dental health and hygiene. Call us on 9989 8565 or book online at www.normanhurstdental.com.au to arrange a check-up and for friendly advice for your kids. I still remember how my mother managed to instil in me the importance of good oral hygiene from a very young age. Teaching dental health care practices to young children is an investment that will pay dividends lifelong. Ideally, dental care should start as soon as the first tooth erupts, and the first visit to the dentist should be around the first birthday. By the time children turn 3 years old, they should begin brushing their teeth once a day. And by the time they are 4, they should be brushing twice a day. Encourage your child to begin brushing by giving him a soft toothbrush and pea-sized amount of fluoridated toothpaste. If possible, during the initial stages, you can brush along with him to make him imitate you and learn proper brushing techniques. Once your child turns 6, you can change him over to regular fluoride toothpaste. However, parental supervision is recommended until children are at least 8 years old to help them learn how to brush their teeth the right way. Remember, there is no substitute to brushing and flossing; so, never compromise on brushing twice daily. Explain to your child why it is important to brush in the morning and before going to bed for oral health. Emphasise to your child the importance of gently cleaning his tongue with the brush at the end of the brushing routine. Avoid filling sippers and bottles with sweetened milk and juices, especially before bedtime as this increases the chances of developing caries. The American Academy of Pediatric Dentistry recommends that babies should never be allowed to sleep with anything but a bottle of water. Make sure he gets enough fluoride. Regular supply of fluoride toughens the enamel and protects it from being attacked by acid in the mouth. But remember, ingestion of excess fluoride through drinking water can cause tooth discolouration. Misaligned teeth can cause embarrassment to the child and hinder the maintenance of good oral hygiene. A visit to an orthodontist early on can fix this problem and help the child lead a normal life. Take your child to the dentist for bi-annual check-ups followed by dental cleaning and fluoride treatments, and pit and fissure treatments. In case a check-up reveals caries, the dentist can use sealants as a non-invasive measure to stop the build-up of plaque in the grooves of the teeth and prevent further decay. Applying sealants is a quick and painless process. Limit or avoid giving starchy or sugary foods to your child as they contribute to the production of acids in the mouth that cause tooth decay. Give him citrus fruits like orange, apple and kiwi, which are rich in Vitamin C. Also give him cheese, which is a good source of calcium and phosphorous, and raw onions, which have great bacteria killing properties. Although there are many ways of teaching your child how to take care of his teeth, leading by example is the best way. And once your child begins to show interest and emulate you, find ways to make dental care fun and a regular habit. But with all these tips on dental hygiene for kids, another very important advice is to love your child unconditionally and spend as much quality time as you can with her, as children grow up so fast that you wouldn’t even realise. The author is a leading practicing dentist with a degree in Dental Medicine and Surgery. If your child is cutting teeth and you're looking for safe home remedies to bring her relief, read the following article.